Hardcover, 9.5 x 11 in. / 344 pgs / 124 color / 124 bw. Text by Nicolas Bourriaud, Fabrice Bousteau, Édouard Carmignac, Charles Carmignac, David Cronenberg, Luc Ferry, Alejandro Jodorowsky, Catherine Millet, Camille Morineau, Barbara Soyer. A private collection is an account of an individual’s passion and reveals something of its owner’s personality. Composed of around 250 works by leading artists such as Roy Lichtenstein, Andy Warhol, Jean-Michel Basquiat, Keith Haring, Martial Raysse, Gerhard Richter and Ed Ruscha, the Carmignac Collection is also an open dialogue with emerging art scenes and contemporary creation by artists like Zhang Huan and Korakrit Arunanondchai. 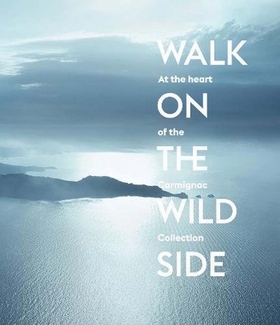 First exhibited in the offices of Carmignac Gestion, and now shared with the public at the Fondation Carmignac’s premises in Porquerolles, the collection belonging to Édouard Carmignac has provoked its viewers since its inception in the early 1980s. In this volume Nicolas Bourriaud, Luc Ferry, Alejandro Jodorowsky, Camille Morineau, Catherine Millet and David Cronenberg lead you through six of its key themes. FORMAT: Hbk, 9.5 x 11 in. / 344 pgs / 124 color / 124 b&w.